Ananthanatha Swami Temple is one of the oldest Jain temples in Kerala and is believed to be originally located in Kalpetta. 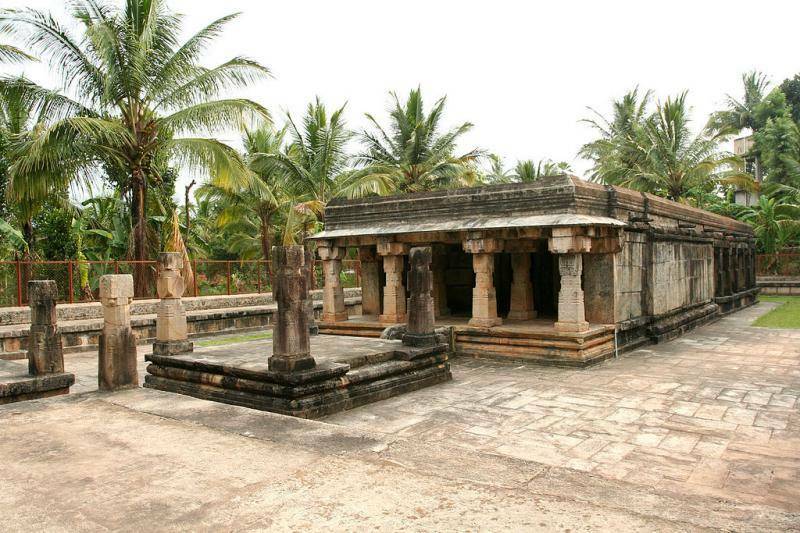 Mandappa Gowder is believed to have shifted the temple to current location in 1930’s. This temple is also known as Puliyarmala Jain Temple after the hill lock Puliyar Mala on which it is located. Temple is surrounded by coffee plantations which add to the beautiful seating of this temple. Temple has large carved granite pillars on entrance. Stairs carved with Jain images leads to the main temple.